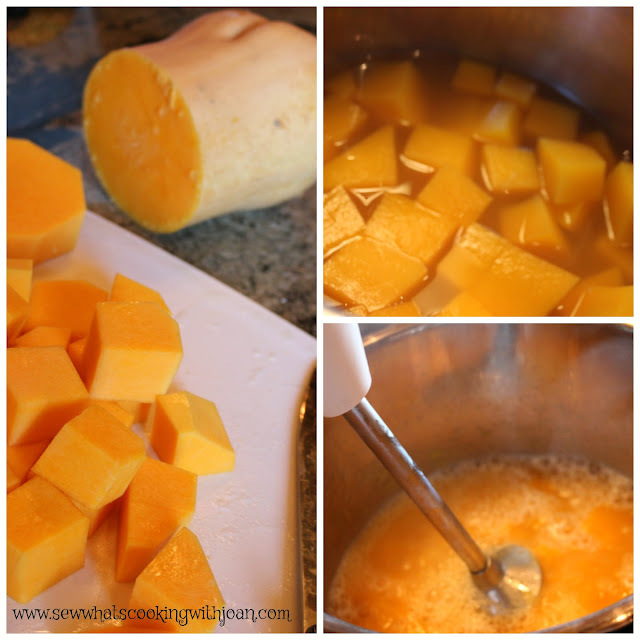 This Butternut Squash Soup is Jean George's recipe, that I was privileged to observe in a cooking demo, years ago. Ten plus years later, I went to the famous Jean George's in New York, (Trump Hotel Central Park, first floor) and had this very soup!! Ever since then, I’ve fallen in love with Jean George's Butternut Squash Soup. 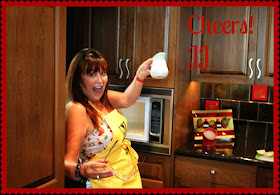 I love the kick of the cayenne pepper! 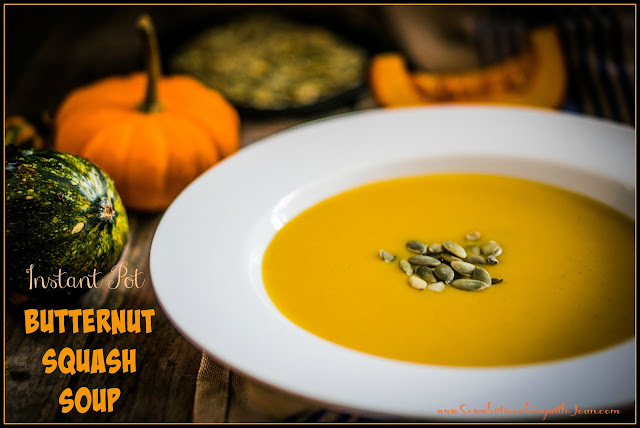 I have made this soup many times and recently adapted to my IP, just in time to share with you for your Thanksgiving dinner. It is so quick to make! It can be vegetarian, simply by using the vegetable stock. In a week that promises to be full of buckets of gravy, third helpings of delicious buttery stuffing and bites of every pie topped with ice cream and whipped toppings .....this is a nice light start to your meal! 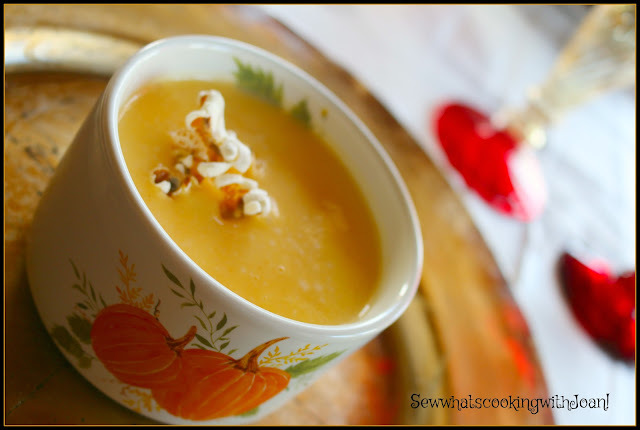 If you don't have a instant pot here is a link to Jean George Butternut Squash Soup made on stove top. Combine the squash and stock in your Instant Pot, set to high pressure for 8 minutes.When it beeps do a "quick release". Using a immersion blender puree the tender squash or puree in a food processor or blender. Stir in the cream of your choice, the butter, salt, pepper and cayenne. Taste, add the sugar, and adjust seasoning. Garnish......I garnished with pepita's this time, but have garnished buttered and salted popcorn, sauteed wild mushrooms or snipped chives! Thanksgiving is here, and if ever there was a time for a simple-to-make (but still amazing) holiday soup, this is it. And what’s more, you can make it ahead of time, freeze it in batches, and use some for Christmas – or a quick mid-week meal during the bleak winter’s pale. Another presentation..... for more presentations go to this link! 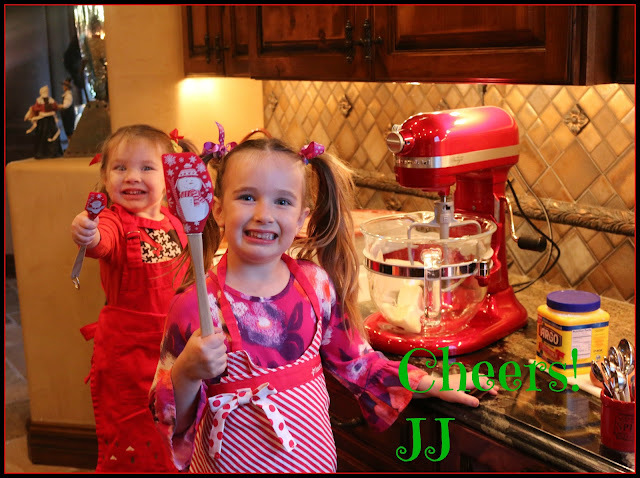 My grandchildren Madison and Mackenzie making cookies with me for their Thanksgiving dessert! I will give them little bowls of sprinkles and tubes of frosting for them to decorate their giant gingerbread man right after dinner on T-day! While we eat our pumpkin and pecan pie, they can decorate and eat their giant cookie! It is so yummy! Thanks for commenting!